The Journal of UFO Research (飞碟探索) is China's (and apparently the world's) largest UFO journal. Published six times a year by the Gansu Science and Technology Press, it reports on UFO sightings across the globe and throughout history, as well as on a variety of other fringe and paranormal topics. 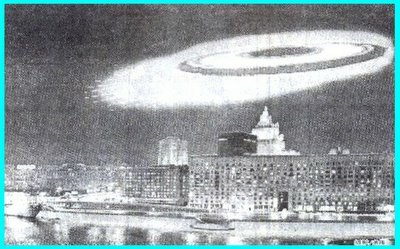 You don't have to believe that aliens exist, but you can't deny that UFO phenomena have occurred; you can say that UFO research is not orthodox science, but you can't judge it as pseudoscience. It would be more convincing if the same issue did not have an article claiming that a NASA moon base had been invaded by aliens. Also in this issue are a report on the Shenzhou space program, three UFO sightings reports, a look at ancient Egyptian civilization, and two SF stories, the 1992 classic Mousepad by Wu Yan and a more recent story called Time Stopped for Me by Yang Peng.